Our refresher courses can help you stay safe in the snow. 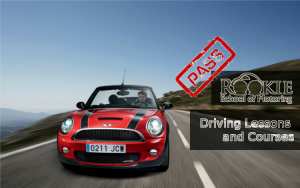 Rookie School of Motoring believe that flexibility is the key to making happy customers, and it is because of this that we offer a wide range of options on our driving lessons and courses in Manchester. We understand that people learn at different rates, and even that you may have experience with driving already. Our packages below should help you in selecting the ideal driving package for you. Single driving lessons are available from each of our instructors and are ideal if you want to ensure you are compatible with the instructor who you will be learning with. Learning to drive can be an experience filled with both good and hard times, and Rookie finds that pairing you with an instructor with whom you bond will make the experience more fun, fulfilling and satisfying. You may also continue on a ‘Pay-as-you-go’ basis if your pocket prefers, though you may find that our courses offer greater value for money. Our lessons are also flexible in terms of timing, with instructors available in bookings of 60, 90 and 120 minutes, from as early a 7am. Click here to see our prices. 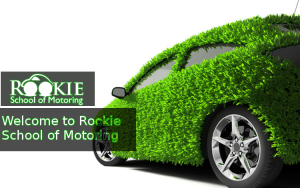 Once you are certain that the instructor you are paired with is the one for you, you may wish to consider booking a block course with Rookie School of Motoring. Our driving courses offer significant value in learning to drive and often prove to be a great motivator. You may also use your block booking in any way you wish; have plenty of time to pass your test? Space your lessons out and let them sink in. Or, book them all close together and pass your driving test even quicker. 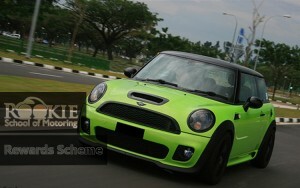 Flexibility is always key in success and Rookie School of Motoring offers flexibility in spades. Click here to view our rates. Quick pass driving courses are all the rage currently, but Rookie must be brutally honest; it is rare that a new driver will be successful in such a course. That said, if you have previous experience of driving you may find that our intensive 7 day programme could get you out on the road in the quickest possible time. 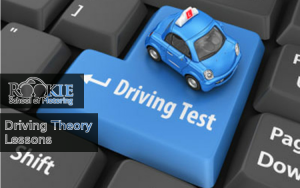 Applicants for our intensive course must have passed their driving theory test and be ready to put forward for the practical part of the test following this course. Sticking to our aim of proving flexibility, Rookie can even provide discounted links for accommodation should you require a bed in Manchester whilst studying.